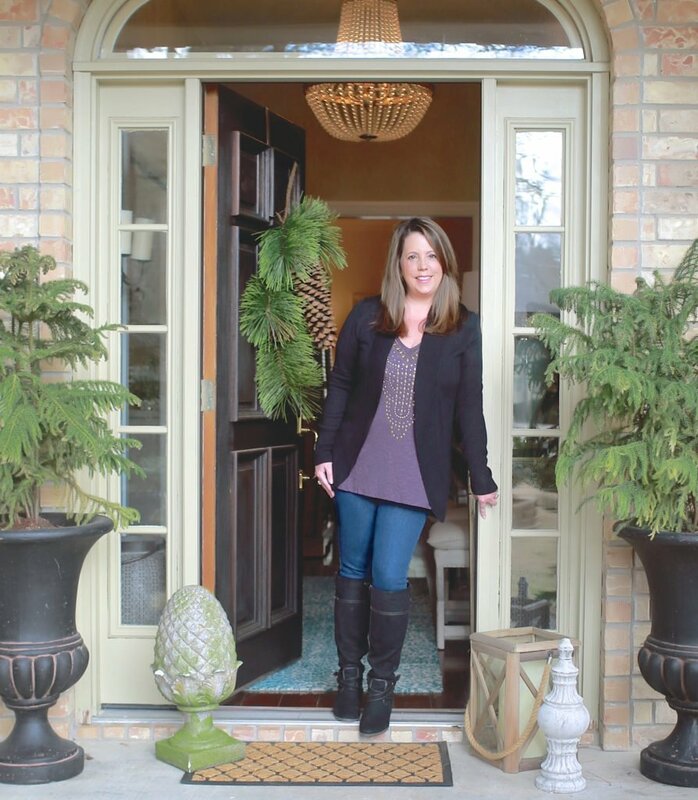 Planners and to-do lists enable you to plan and and organize your time, your tasks, and so much more. 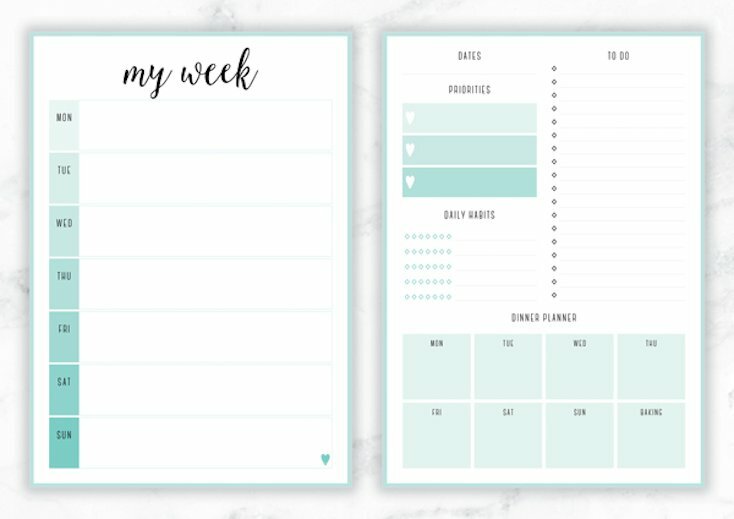 This weekly planner offers multiple layouts in multiple colors. 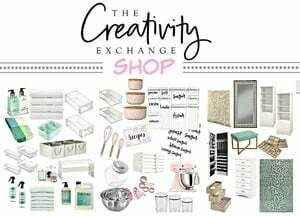 You’re sure to find something that helps you get organized! 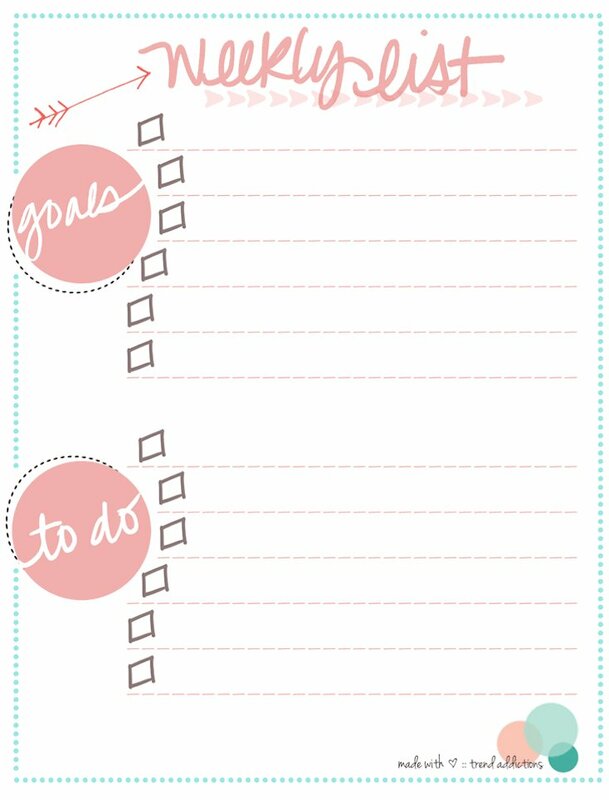 This weekly to-do printable gives you plenty of space to write and comes in three different designs. 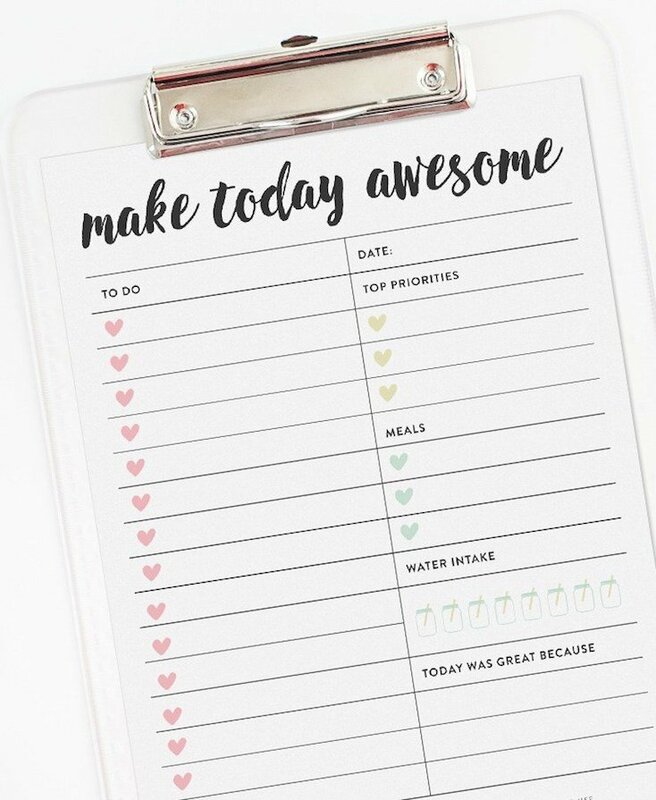 With this neat daily planner page, you have no excuse for not making every day awesome! 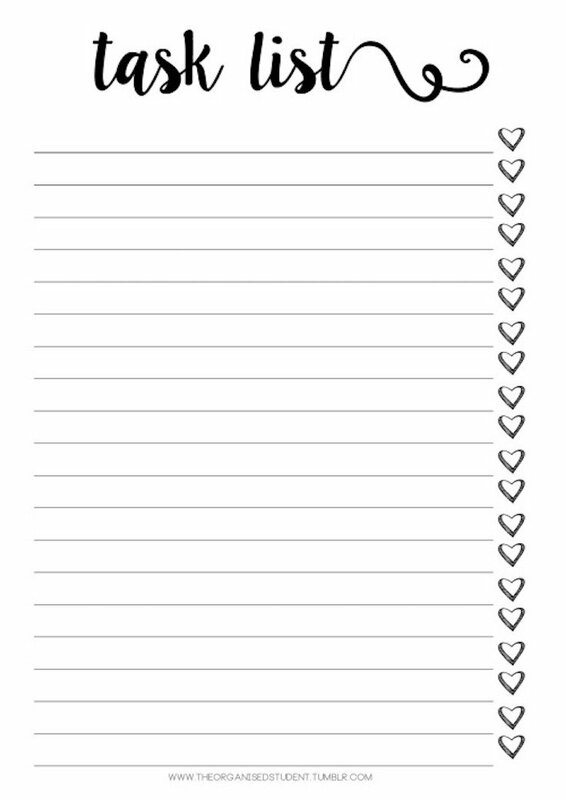 This is Cyndy’s customizable to-do list. 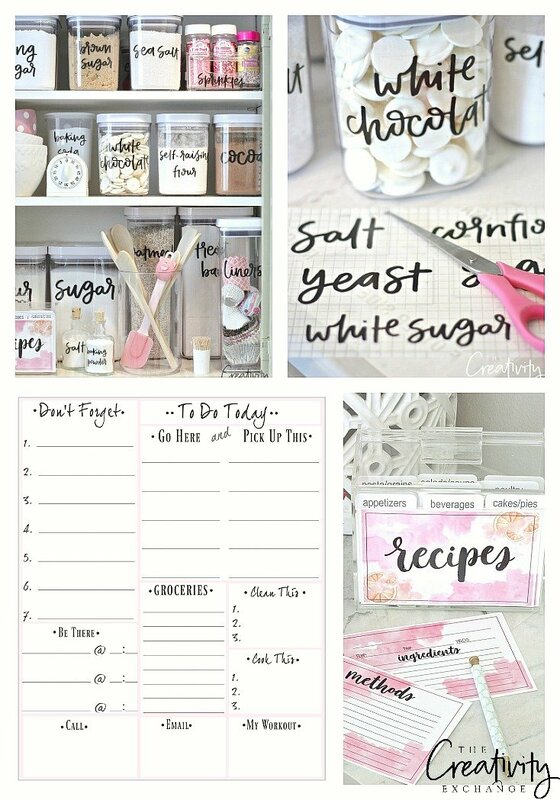 Use hers, or personalize your own with unique categories and fonts. By the way, Cyndy just updated here To Do list from above and added it to the original post here. It’s a great layout with pretty much everything. 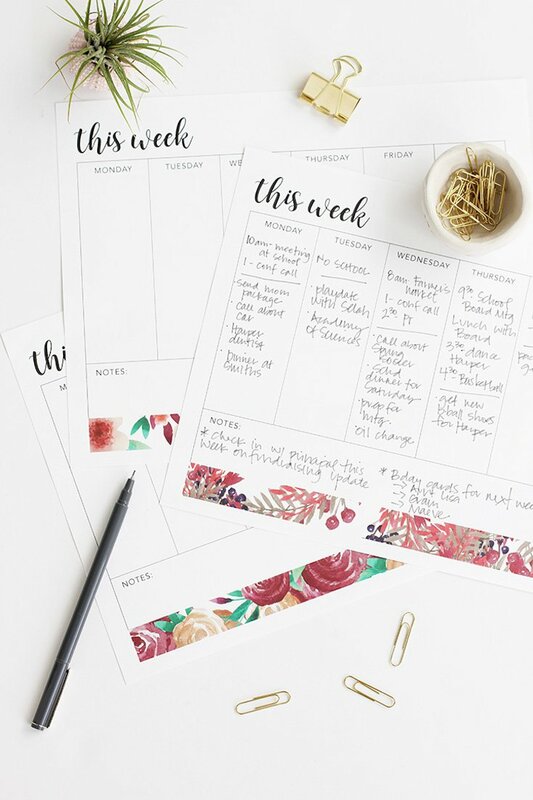 This fun to-do list encourages you to get to work—and get organized! Here’s another simple to-do list to help you plan your next tasks. There’s a style of to-do list for just about everyone. Here’s another colorful example. 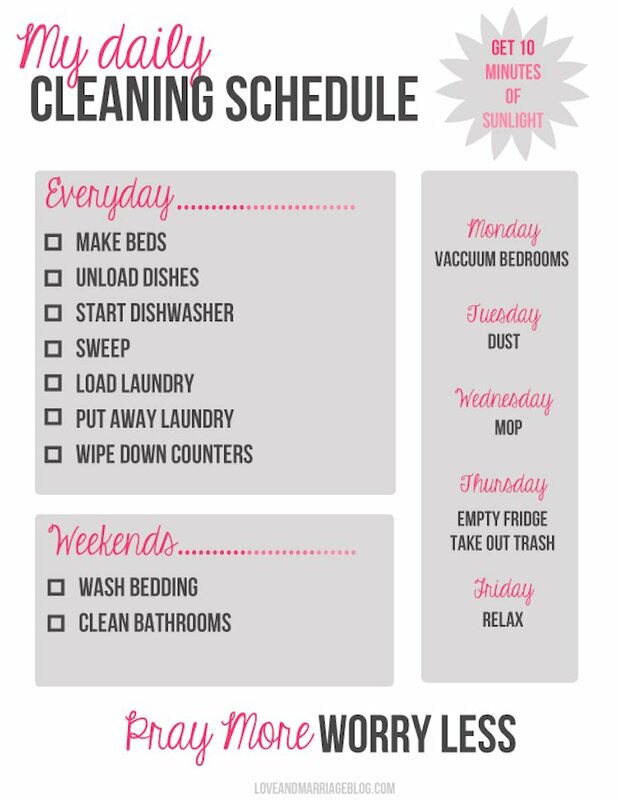 This daily cleaning schedule helps you stay on top of tidying up. 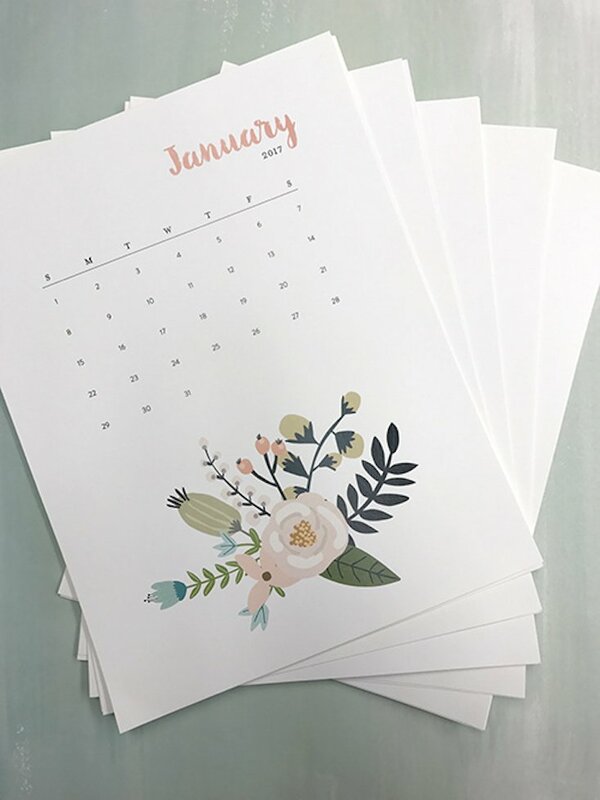 Printable calendars are wonderful, and with so many available online, you can find something just perfect for you! 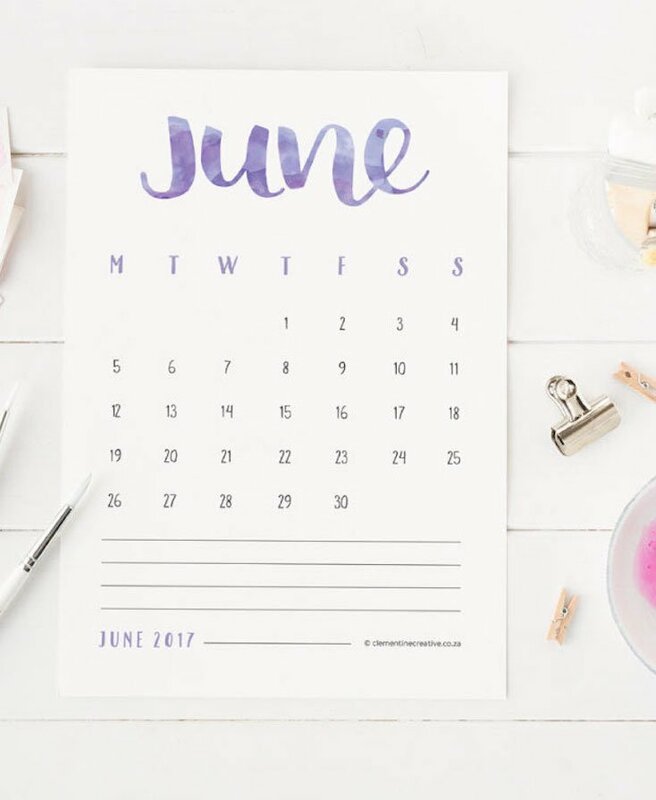 This pretty printable monthly organizing calendar contains tips on getting—and staying—organized each month. 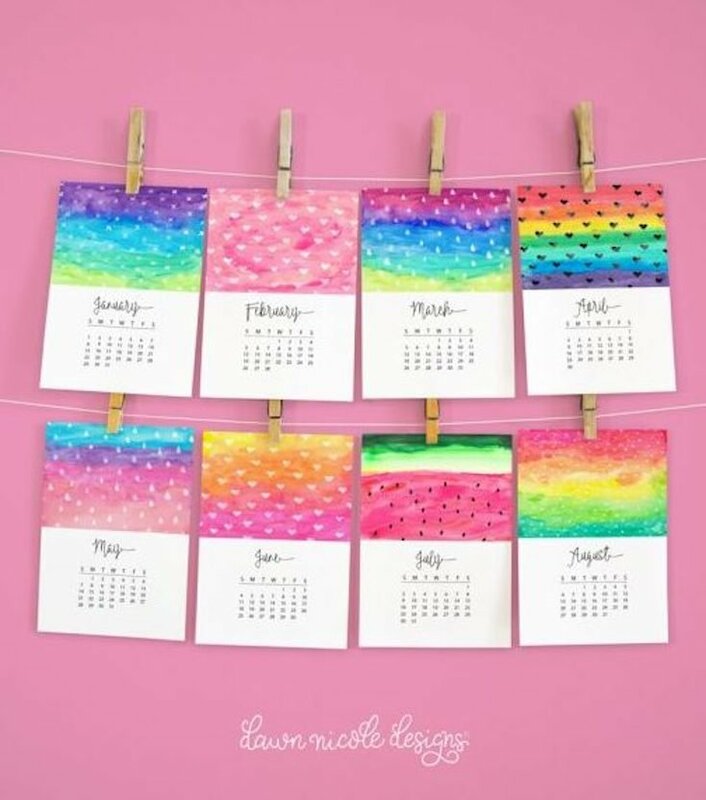 Hand-brushed watercolor lettering matching each month’s birthstone adorns the months of this lovely calendar. 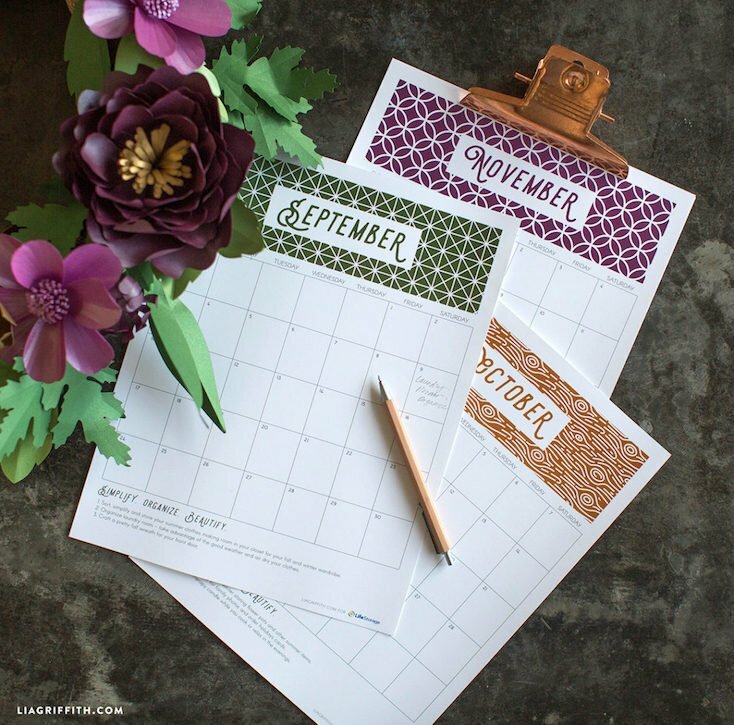 Every month of this gorgeous calendar features a different vintage-inspired floral design. 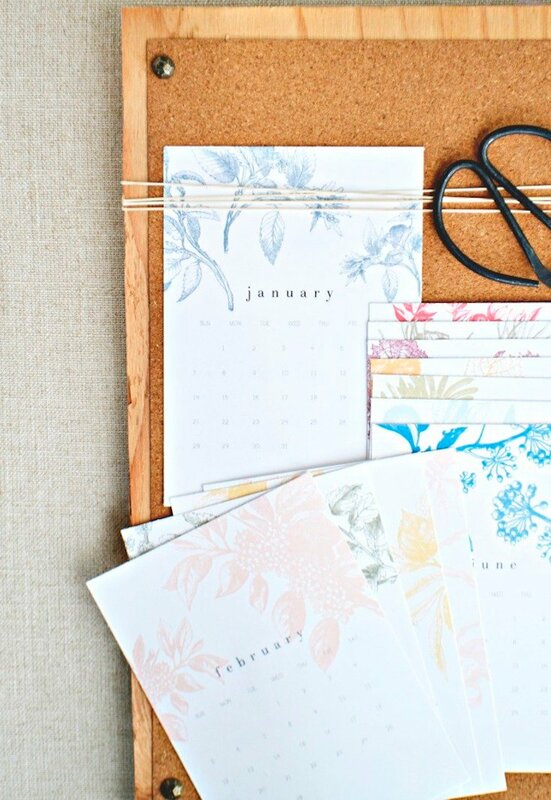 Here’s another cute floral calendar with fun botanicals. I love this mini calendar. It’s so colorful and cheerful! 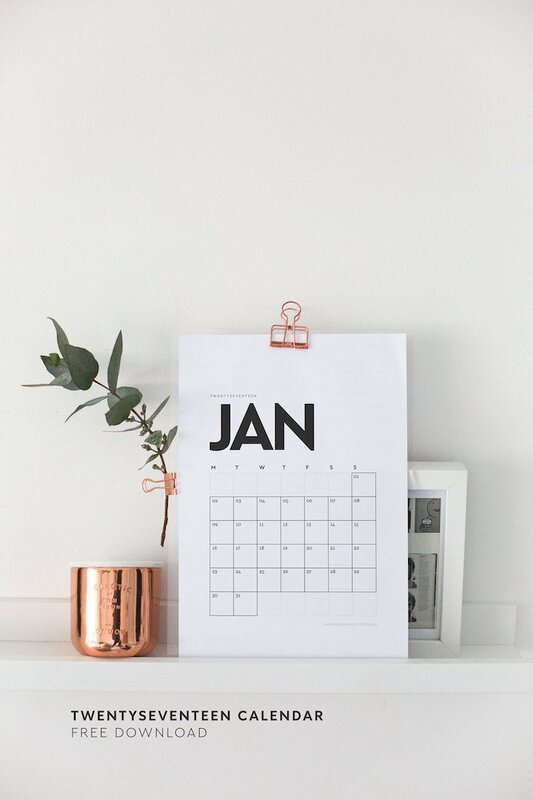 If you want something more clean and contemporary, this wall calendar fits the bill. 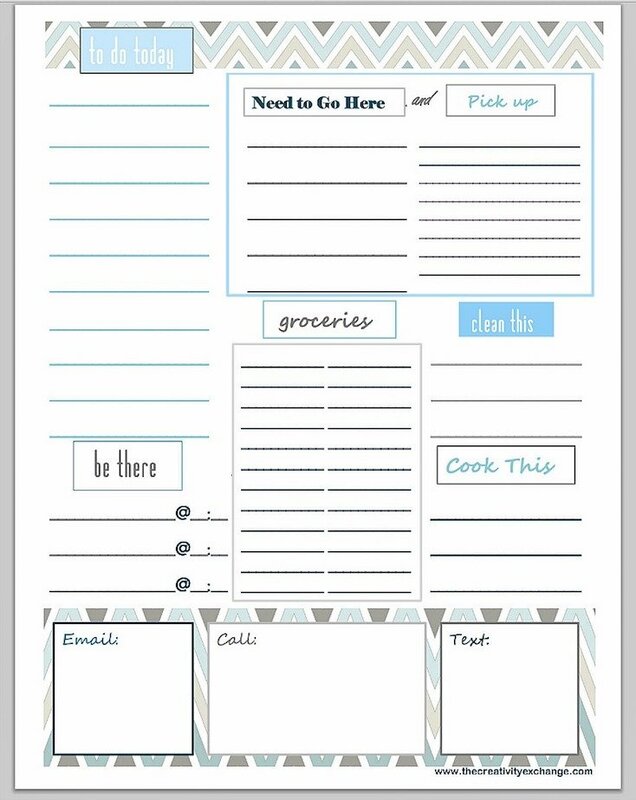 These menu planners, grocery shopping lists, and more will help make meal planning and prep easier … maybe even enjoyable! 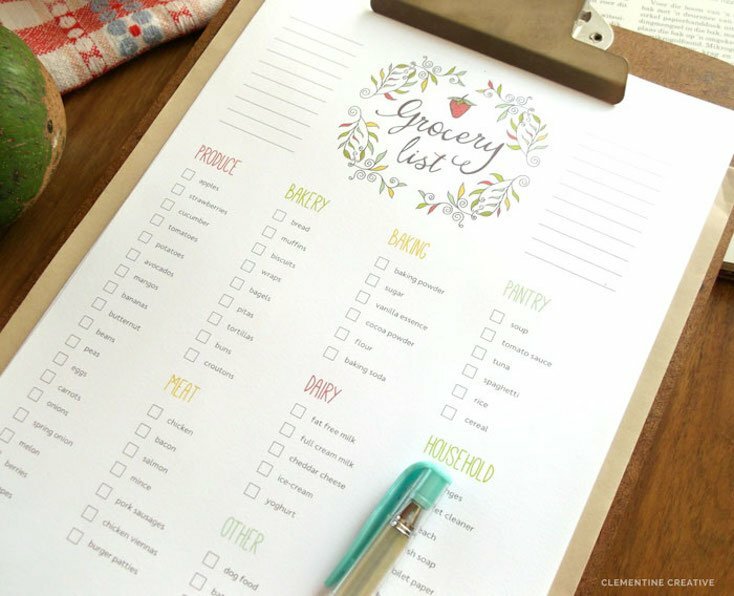 This pretty grocery list is customizable so you make the most of your grocery shopping time. 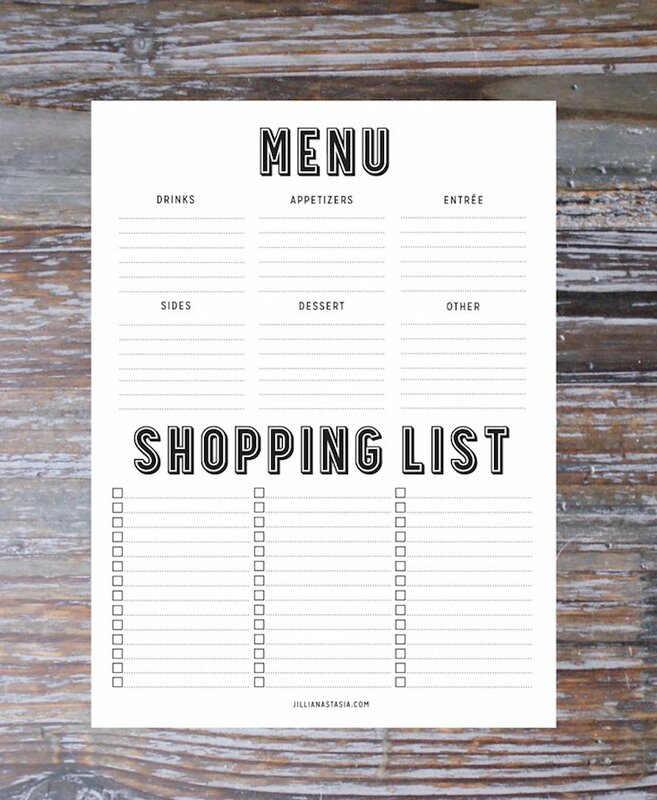 This no-nonsense menu planner and shopping list gives you space to list everything you need. 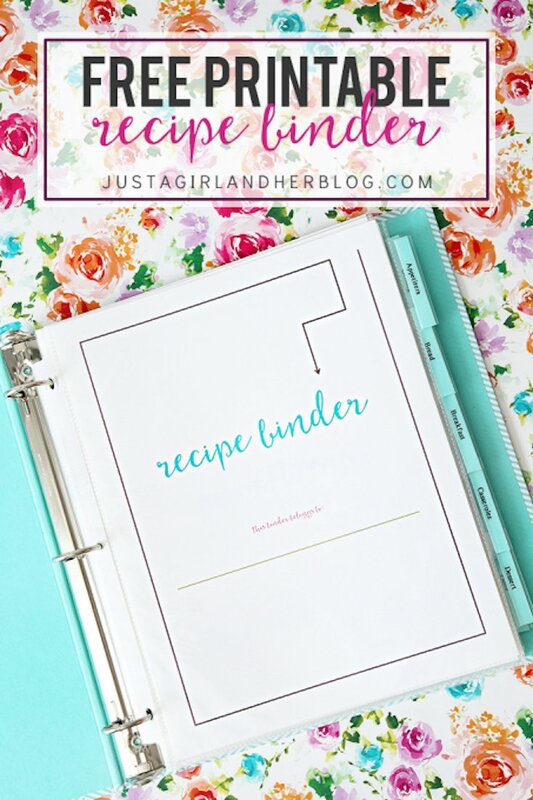 Get your recipes organized with this stylish recipe binder. 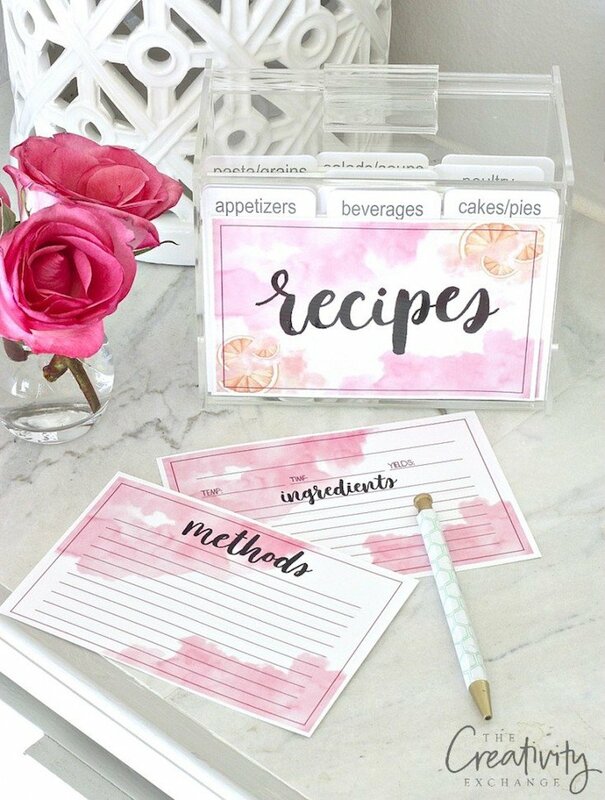 Or print these pretty watercolor recipe cards to get your favorite dishes in order. 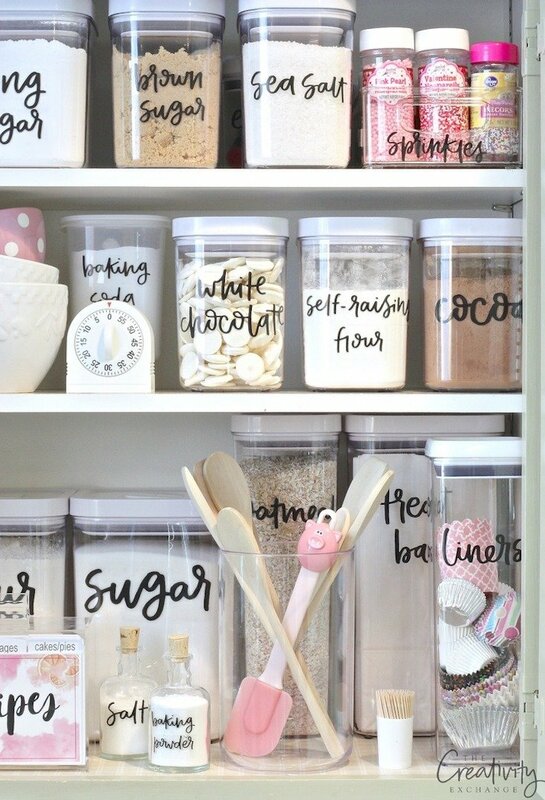 Labels help you organize on a more detailed level, whether you’re working in your pantry or kitchen cabinets, your linen closet, your garage, or anywhere! Cyndy has an awesome baking cabinet where she keeps all her baking ingredients organized with hand-lettered labels designed by Jo Cheung from Zuer Designs. These customizable labels enable you to personalize and organize just what you need. The hand-lettered font is designed by Jo Cheung from Zuer Designs. 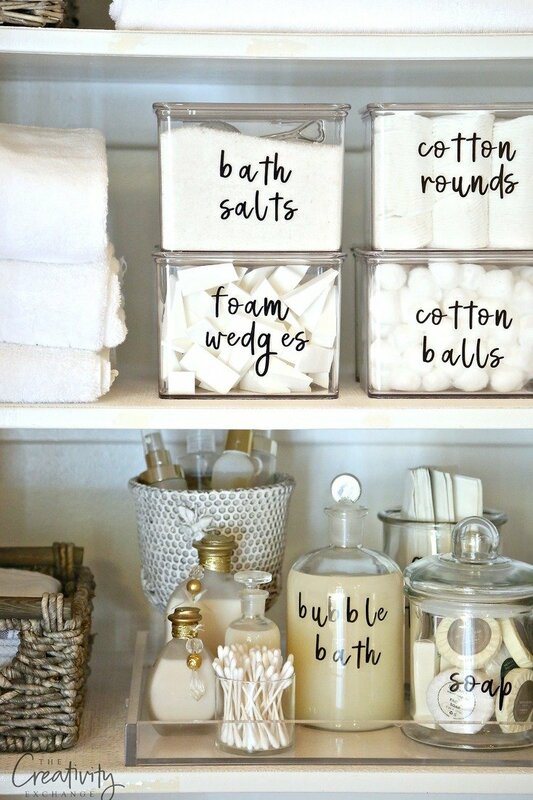 Cyndy is an expert on paint, and on organizing, so it makes sense she’d create these paint labels. 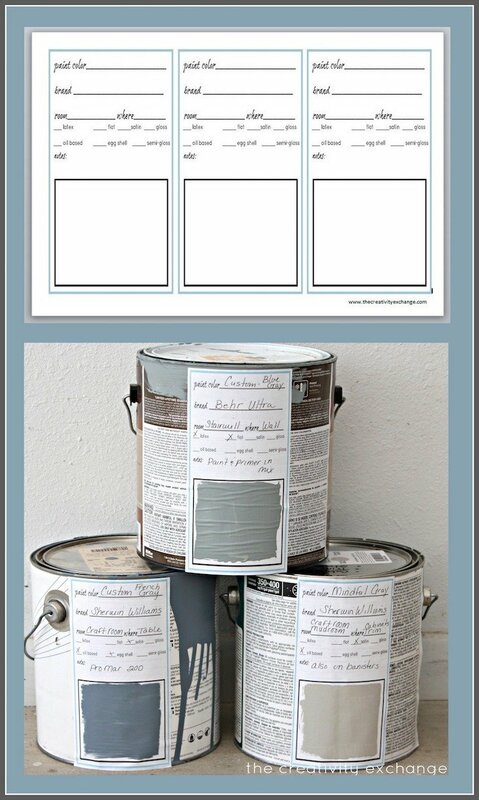 Fill them out, stick them on a can, and paint a sample in the space provided. 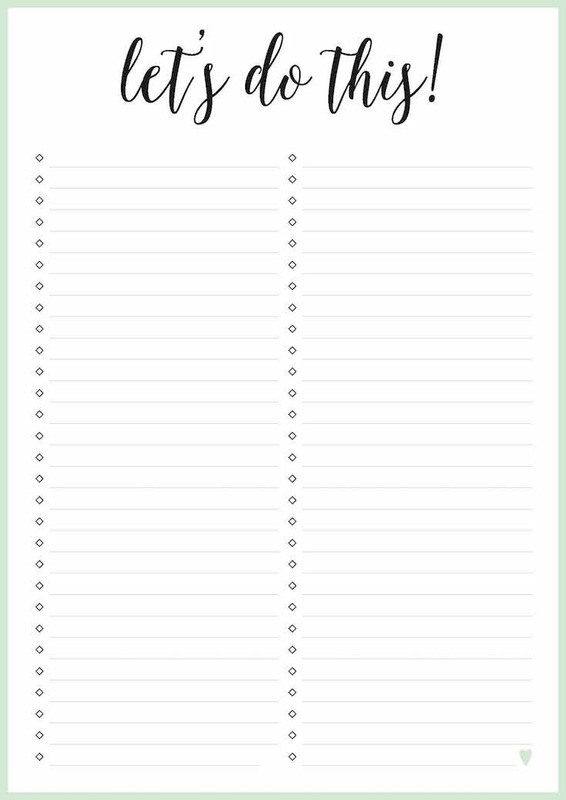 Help your little ones learn organization early with these fun printables for chore charts, homework charts, and toy and clothes organization. 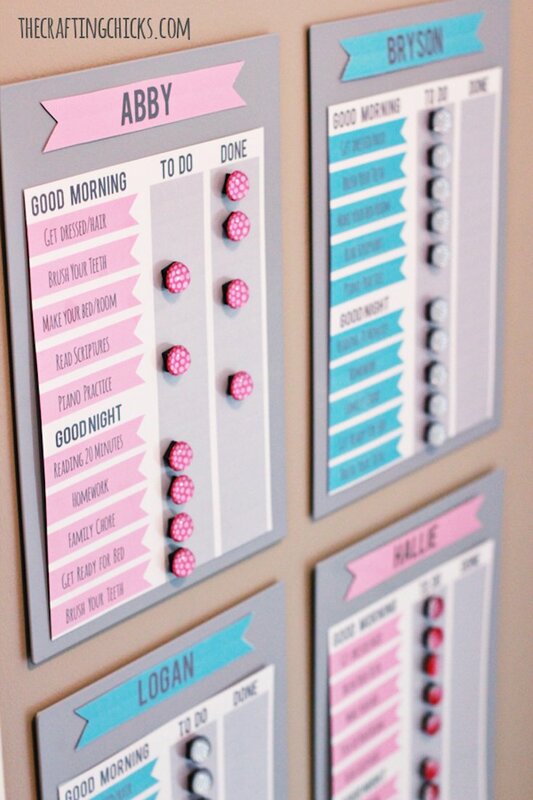 These colorful chore charts help your children keep track of what they need to do and what they’ve completed. 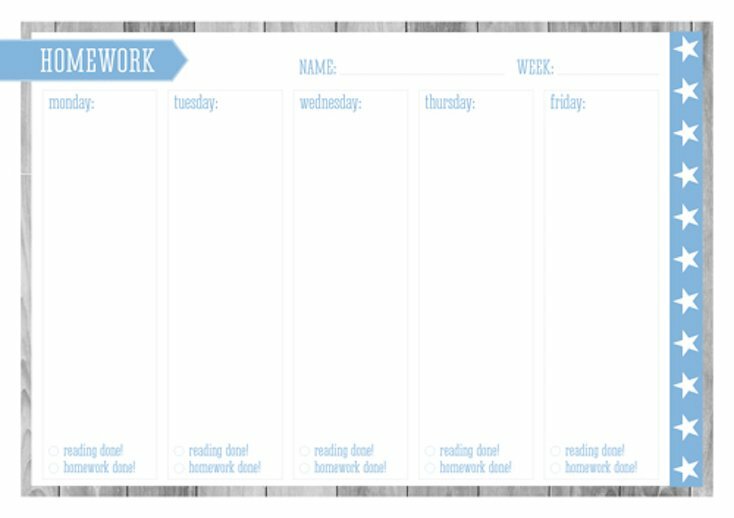 You and your child can stay on top of homework and assignments with this homework chart. 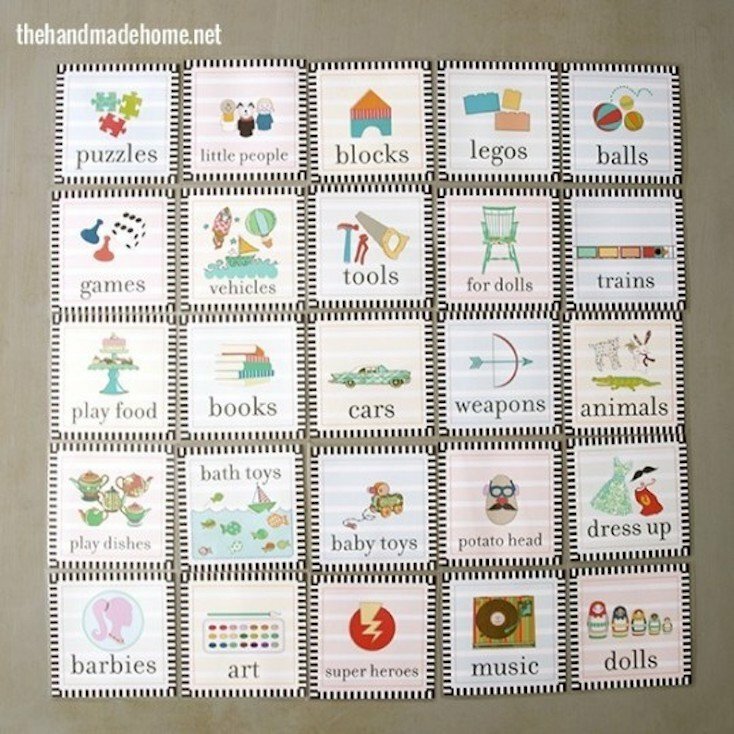 Teach your kiddos that their toys have homes and should be put away when they’re finished playing with them with these cute printable toy labels. 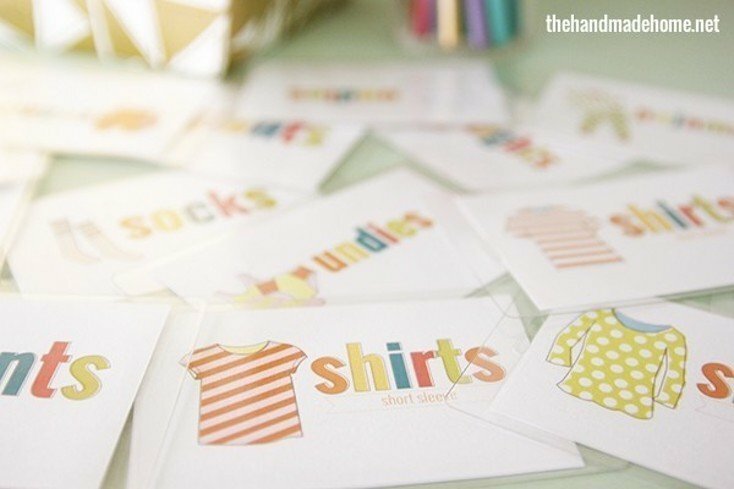 Your little ones can help put away their own clean laundry with these cute printable clothes labels. 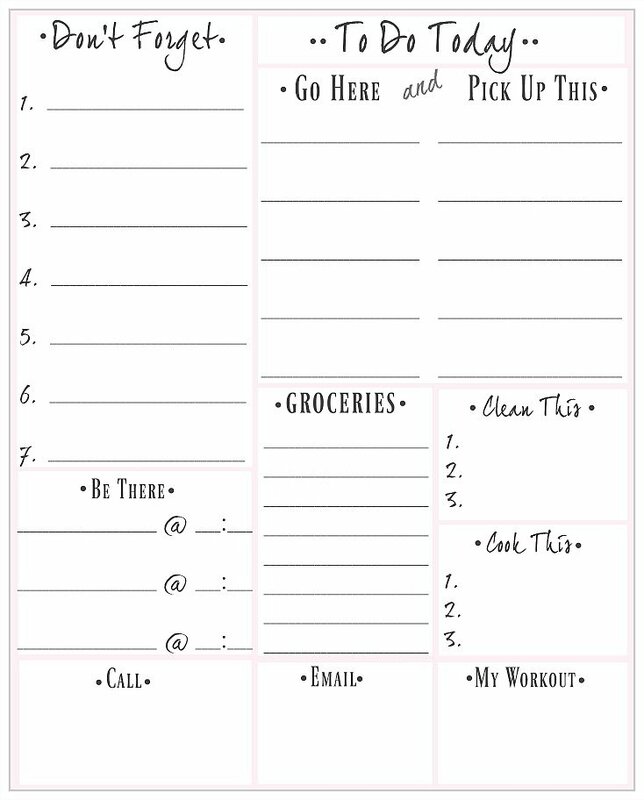 We hope these free printables help you get organized in the new year!